I wasn't expecting anything brilliant, but zebra prints, really? 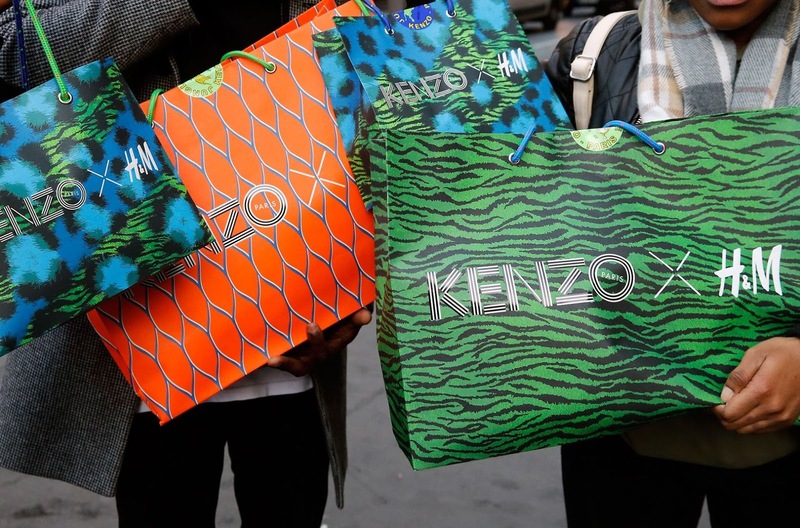 If you didn't already know, the Kenzo and H&M collaboration came out yesterday. Apparently it sold out online really quickly, which I do not understand at all. The only pieces that were sort of okay were the t-shirts, but even those I would not wear. In my opinion, the collection was a bit of a mess. If you bought something from that collection and you're reading this I hope I haven't offended you, but more props to you if you can actually manage to style something from that collection and make it look great. Like most H&M collab pieces, I'm sure most of what was purchased from this collection can be found on Ebay now for much higher prices. You can check out the entire collection HERE, to see what I'm talking about, or just see the pictures here and judge it for yourself.